Ideal pocket-friendly mod with tough build quality. 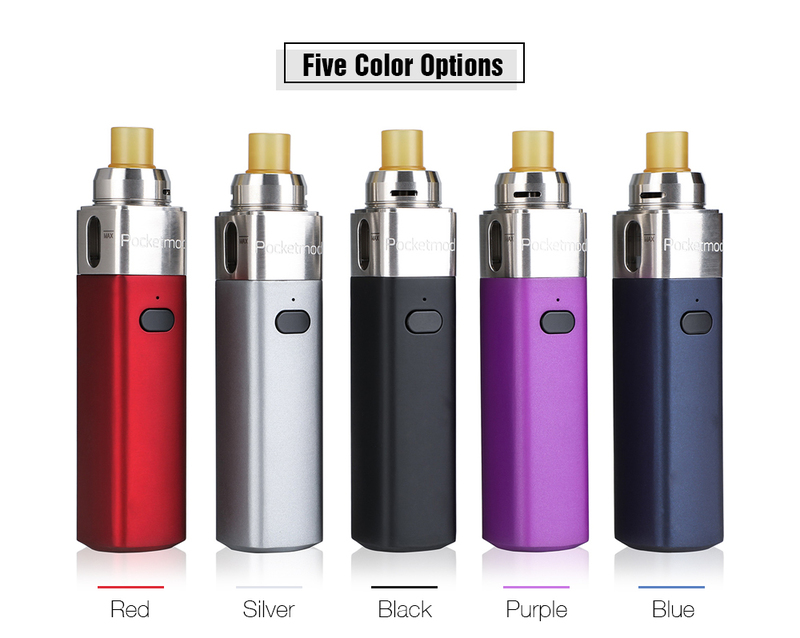 The Innokin Pocketmod is a simple yet versatile setup designed for both beginners and veterans. The Pocketmod features a simple one button design and caters to both mouth to lung and direct lung users using the corresponding coil: Pocketmod Slipstream Direct Lung (DL) 0.35ohm atomizer head and Pocketmod Slipstream Mouth to Lung (MTL) 1.2ohm atomizer head. 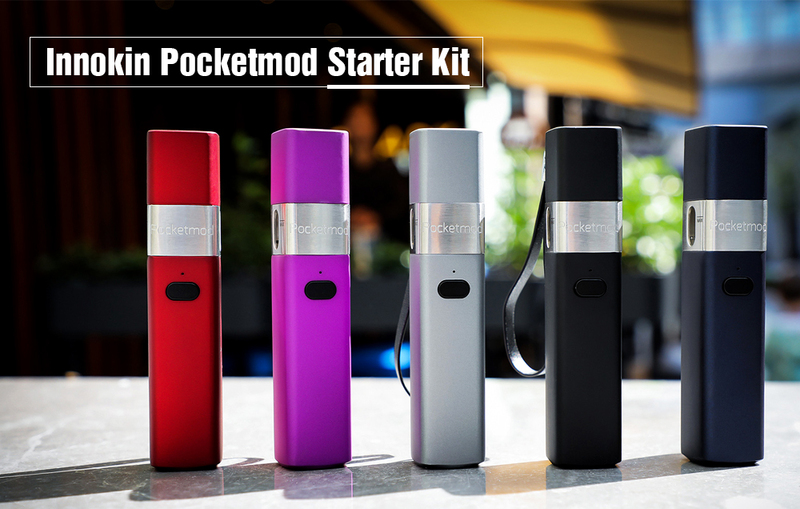 The Pocketmod features a built-in 2000mAh battery and may be charged via the micro USB port. 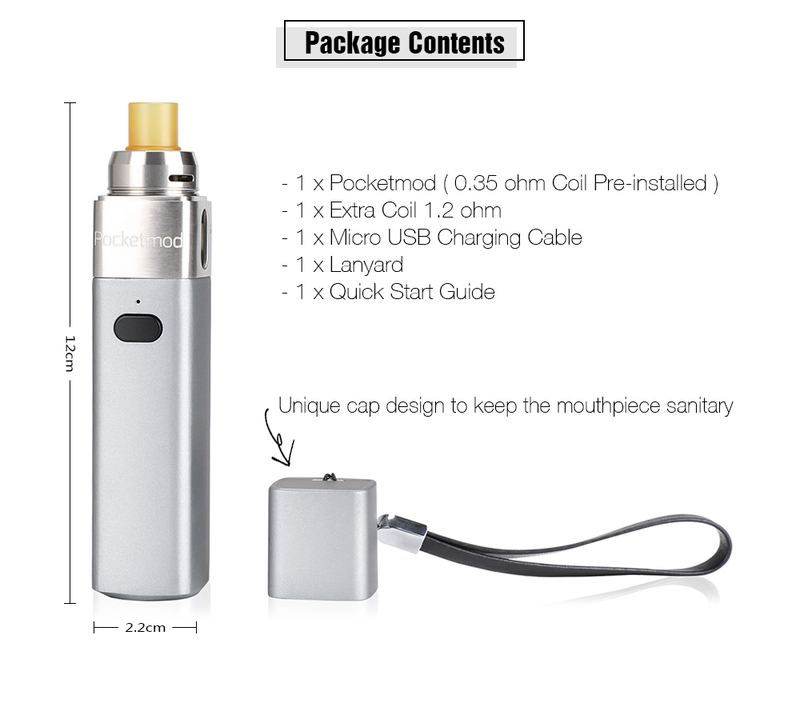 Innokin Pocketmod starter kit built-in 2000mAh internal rechargeable battery, which is super easy to use, both MTL and DTL available. The square shape looks elegant and fashion and easy to carry, the premium rubberized finish design tough soft. Unique cap design to keep the mouthpiece sanitary.